The Government is facing criticism from the automotive industry for its decision to scrap the plug-in hybrid car grant. From 9 November, only plug-in cars that can cover 70 miles on electricity will qualify for the grant, effectively ending the Government-funded discount for all plug-in hybrids currently on sale in the UK. Pure electric cars will also get less public money, with the grant cut from £4500 to £3500. The move has been labelled as “a big step backwards” by the RAC and a major blow to anyone hoping to go green with their next car choice. 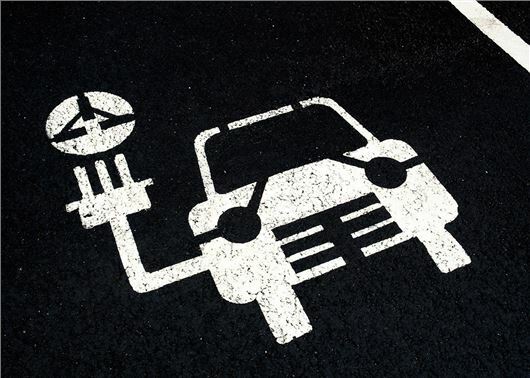 Doubts over the future the plug-in car grant were first raised by HonestJohn.co.uk in May 2018, when a freedom of information request on the scheme’s funding was flatly rejected by the Department for Transport. “With up-front costs still a huge barrier for those hoping to switch to an electric vehicle, this move from the Government is a big step backwards and is in stark contrast to countries like Norway where generous tax incentives have meant that it has one of the highest ownership levels of ultra-low emission vehicles of anywhere in the world,” said RAC head of roads policy Nicholas Lyes. Electric vans are unaffected by the rule changes, but cars like the Mitsubishi Outlander PHEV and Toyota Prius Plug-In will no longer get the £2500 discount. Mitsubishi has expressed its "surprise and disappointment" at the decision, saying it said was "completely at odds" with the objective of making the UK a world leader in green mobility. In a statement, the Department for Transport said the PICG has helped the plug-in hybrid market become more established, and the Government will now focus its support on zero-emission models like pure electric and hydrogen fuel cell cars. It also added that plug-in hybrid vehicles will continue to receive support through lower car tax rates, grants for charging infrastructure and local incentives. The plug-in car grant was launched in 2011 and has supported the purchase of 160,000 new vehicles. However, while plug-in car have increased by almost 31 per cent in 2018 with 33,584 registrations, pure electric cars have struggled with just 11,270 being sold between January and September. Not everyone has criticised the Government for changing the rules, however, with some market commenters saying that more needs to be done to reduce running costs rather than list prices. According to FTI Consulting, which provides advice to businesses and governments on clean energy, the changes could be a good thing. “It’s not necessarily wrong of the Government to reduce the subsidies. Their purpose should be to help lower costs and encourage innovation, not line the pockets of the manufacturers,” said Aris Karcanias co-Leader FTI’s Global Clean Energy Practice. Electric vehicle charging provider Pod Point has also offered support, with its CEO and Founder Erik Fairbairn saying electric cars will continue to get “progressively cheaper” and subsidies should be weighted in favour of full battery electric vehicles (rather than hybrids). Maybe greedy manufacturers should consider lowering their prices rather than exploiting public money to encourage increased sales (whilst using "saving the environment" as an excuse, like politicians usually do, to be fair). It's a bit like the fuel duty dilemma. If you decrease fuel duty, the greedy oil companies will increase their profits and thus absorb that money within increased prices instead, so you're left with the sad choice of paying too much for fuel to either go into the treasury or into the deep pockets of oil companies. Typical politicians, saying one thing whilst doing another. If they really want to cut greenhouse gases, cutting incentives to buy electric cars and allowing fracking to recommence is not the way to go about it. But why so much fuss about cars when the biggest polluter is air travel, discharging unburnt fuel straight into the upper atmosphere? The answer is that duty on aviation fuel would require international agreement, and that will never happen, so it is the motorist who is blamed. Recent Bloomberg report said that electric cars would probably reach price parity with petrol cars in around 2027. All the subsidy does is inflate the selling price. Isn't it enough of a subsidy that the only tax on electricity is 5% VAT? I find it hard to believe that aircraft discharge unburnt fuel into the atmosphere. Given the cut-throat competition between airlines, and that aircraft fuel efficiency is paramount, I doubt that the highly-sophisticated engine management systems are incapable of controlling the combustion to achieve maximum fuel efficiency. Aircraft pollute teh atmosphere with CO2 and any particulates that re in aviation fuel of course. I doubt they dump it unless having to do emergency procedure. But why allow first class and business flights which proportionately use far more fuel than an economy seat passenger does? I know the answer. Politicians travel first on their way to talk about Greenhouse Gas reduction! I'll stick with gasoline for now and let others play with their scalextric cars.See if better technology appears before 2040. Imagine an electric 44 tonne lorry? Only be able to carry a shopping bag of goods and the rest batteries!. Electric and hybrid cars are expensive even with government subsidies. They can only be bought by the better off. Those on lower incomes who can't afford these more expensive cars are not subsidised by tax payers. Why should any taxpayer subsidise the better off to buy their cars? We have a chicken and egg situation here. Only the economies of scale will bring the prices down, but while the prices remain high many people are unable or unwilling to buy.